Watch Clark Thenhaus’ recent talk at The Cooper Union. -Clark Thenhaus has an article to be published in UIC's forthcoming journal, FRESH MEAT. -Clark Thenhaus will moderate a paper session at the 107th ACSA National Conference in Pittsburgh, PA. in March 2019. -Warehouse No. 1 in Aurora, Colorado...is stalled. A few posts about the opening of Hem’s first U.S. showroom in conjunction with Madera’s West Coast showroom. This project was initiated by THISxTHAT. Clark Thenhaus joins Craig Douglas, Rosalea Monacella, and Jennifer Bonner at Harvard GSD for final reviews. Clark Thenhaus contributes to the opening of A+D Museum’s Impermament Collection with three drawings. Clark Thenhaus joins Kristy Balliet, Jackilin Bloom, and David Freeland for This x That’s third installment of Architecture 101: Drawing at the Ace Hotel in Los Angeles. Clark Thenhaus presents Confetti Urbanism at the ACSA 2018 Fall Conference, PLAY, in Milwauke, WI. 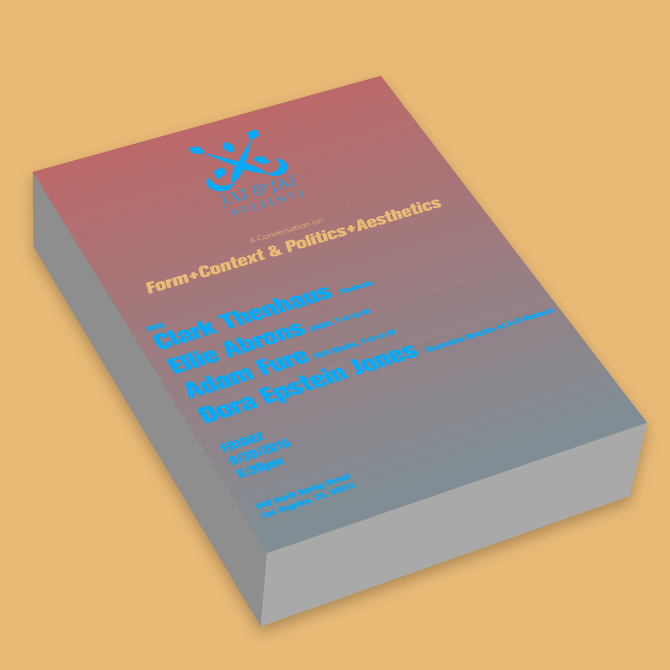 Possible Mediums Book release, edited by Kristy Balliet, Kelly Bair, Courtney Coffman, Adam Fure, & Kyle Miller feature an essay on Primitives and two projects by Endemic Architecture. Clark Thenhaus delivers a public lecture at Texas A&M School of Architecture titled More Darlings. Thank you to James Michael Tate and Gabriel Esquivel for the invitation. Clark Thenhaus delivers a public lecture at Cooper Union Irwin S. Chanin School of Architecture in New York City titled “Mostly Darlings”. Thank you to Michael Young and Nader Tehrani for the invitation. Clark Thenhaus participated in the “Adjacencies” symposium at Yale SOA organized by Nate Hume. “Sort, Scatter, Shuffle...” is a reflection on “Stuff“ published in SCI-Arc's journal, OFFRAMP. “Adjacencies” opens at at Yale SOA, curated by Nate Hume. Endemic Architecture is 1 of 14 offices to contribute work to this exhibition. Clark Thenhaus attends final reviews at UC-Berkeley for Andrew Atwood, Neyran Turan, Darell Fields, and Tate. Clark Thenhaus attended final reviews at SCI-ARC for first year studios coordinated by David Freeland. Drawing Codes opens at University of Michigan's Taubman College of Architecture + Urban Planning. Clark Thenhaus attends UC-Berkeley's annual Circus as a Distinguished Visiting Fellow. Clark Thenhaus travels to Sci-Arc for a conversation with David Ruy and students in the EDGE program. Clark Thenhaus travels to Cal Poly San Luis Obispo for third year Super Jury. Thank you Jeff Pontiz for the invitation. Inscriptions: Architecture Before Speech opens at Harvard GSD. Endemic Architecture has contributed four projects to this group show curated by K. Michael Hays and Andrew Holder. Drawing Codes opens at The Ohio State Knowlton School of Architecture. Confetti Urbanism named the Winner of the Best Public Landscape of 2017 in Architects Newspaper Best of Design Awards! Clark Thenhaus travels to Syracuse University School of Architecture on the invitation from Margaret Griffin, FAIA to review the final efforts of students in her Visiting Critics Studio which considered the skyscraper typology though the lens of figure and stacked profiles. Thresholds 45: Myth released with article by Clark Thenhaus titled "Some Domes At The Middles". Issue edited by Zacharay Angles. Designing Material Innovation, curated by Jonathan Massey, exhibition opens at California College of the Arts. 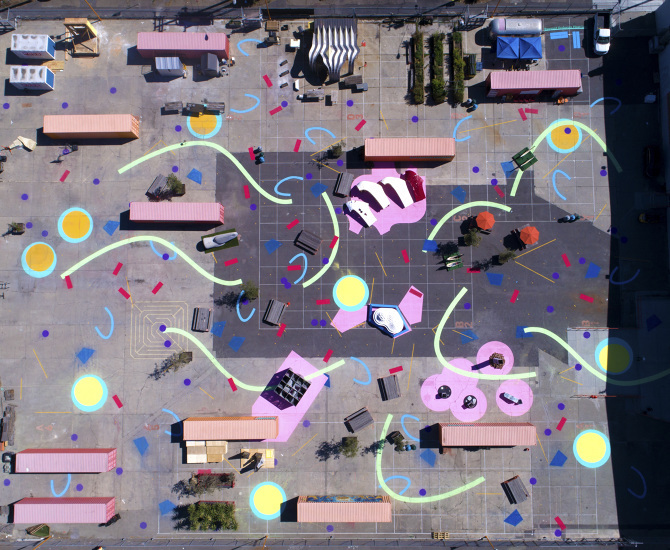 Endemic designed the exhibition, Confetti Urbanism, with pavilions by Aptum Architecture, Bouyant Ecologies Float Lab, CCA Digital Craft Lab, Matter Design, and T+E+A+M. 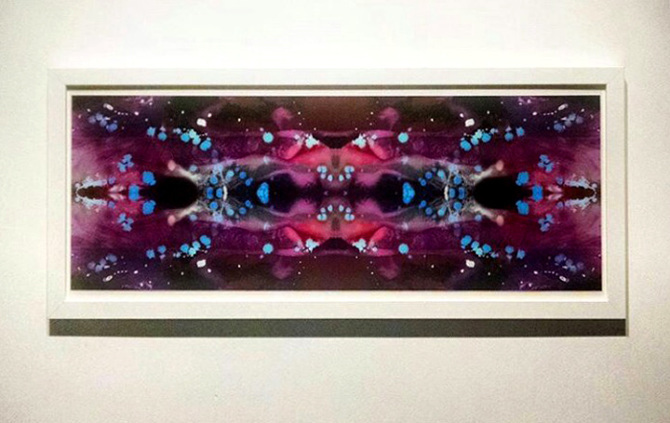 Six recent projects from Endemic included in a group exhibition at the Oliver Art Center in Oakland, CA. Projects include Three-1 Rooms, Five Part Play, Ring Rooms, An Athenaeum, Then House No. 1, and Music Hall for Golden Gate Park. 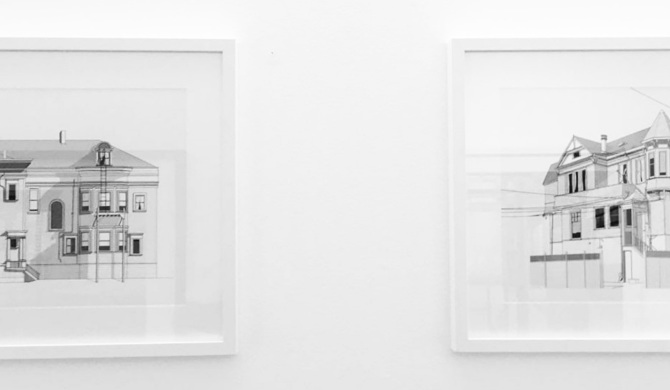 "As Built's" drawing series included in an exhibition titled "Secret City" at the AIA San Francisco headquarters as part of the Architecture and the City Festival. Clark Thenhaus' drawing "Then House No. 2" travels from San Francisco to WUHO Gallery in Los Angeles as part of the Drawing Codestraveling exhibition. 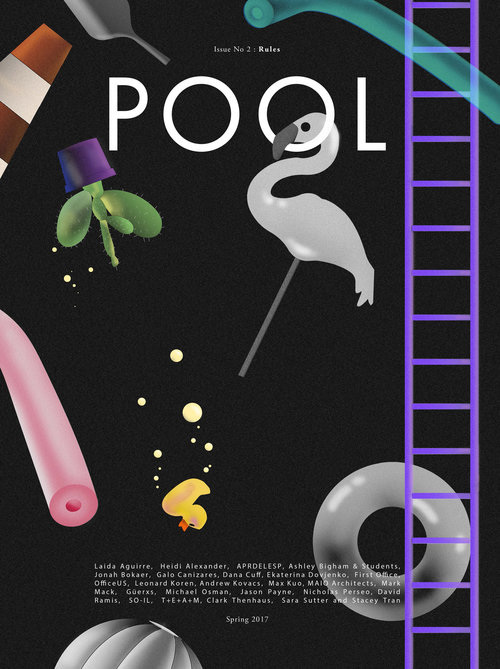 Pool Issue No. 2: Rules released which includes an article by Clark Thenhaus. Clark Thenhaus participates in an exhibition titled "architecture, architectural, & Architecture" at the A+D Museum led by Dora Epstein Jones. Exhibition organized by Anthoney Morey and Ryan Tyler Martinez. Clark Thenhaus participates as an invited contributor in the Future of Work series convened by Arup Future's Specialists Group and Swissnex San Francisco. This event, held at Swissnex on Pier 17 in San Francisco focused on the City as an Ecosystem with architects, futurists, and technologists among other fields. Thanks to Jonelle Simunich of Arup for the invitation. Thresholds 45 launches in New York City at the Benzaquen Hall at the Dilema Center. Clark Thenhaus has contributed a text titled Some Domes At The Middles. Thresholds is published by MIT, edited by Zachary Angles. Clark Thenhaus contributes work to One Night Stand in Los Angeles, an event guest curated by Kyle Miller, Jennifer Bonner, and Volkan Alkanoglu. Organized by Anthony Morey, Ryan Martinez, and William Hu. Aaron Betsky reviews my recently taught Odd Facades studio at California College of the Arts for Architect Magazine. "Thenhaus’ studio pointed out that you can accept much of existing building practice and find ways to transform aspects of the structure in a way that you can build identity and critique of convention into the building. The designs’ oddness was a call for otherness, difference, and the celebration of the possibilities of architecture within—but at the edges of—convention." Enjoyable visits to UC-Berkeley for the final reviews of Andrew Atwood, Darell Fields, Neyran Turan, , and Laurel Broughton. A great return to PennDesign at the University of Pennsylvania for Nate Hume's final review - great work! Enjoyed returning to University of Michigan, Taubman College of Architecture + Urban Planning for the graduate studio final reviews. Thanks to Viola Ago for the invitation and great discussion. 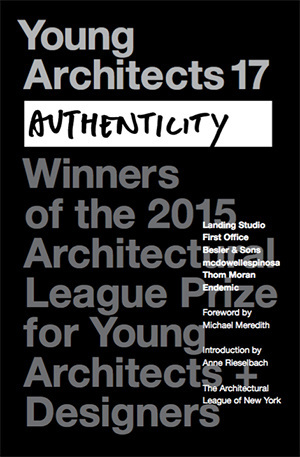 Young Architects 17: Authenticity, a book of the 2015 League Prize winners published by the Architectural League of New York with foreword by Michael Meredith of MOS Architects and introduction by Anne Rieselbach, plus Acknowledgements by Billie Tsien is now available for purchase. Clark Thenhaus enjoyed visiting Gensler's corporate headquarters office in San Francisco to talk about Endemic's recent work and interests in "Darlings". Thanks to Amy Campbell for the GXchange series invitation and arrangements. Enjoyed visiting UCLA AUD for Adam Fure and Ellie Abrons Penultimate review. Clark Thenhaus contributes 5 Drawings That Blush to the show "Expanded Fields" at the Lexington Art League curated by Cat Wentworth. These drawings are accompanied by our talented friends The LADG, William O'Brien Jr., Besler & Sons, Jimenez Lai, Joanna Grant, and many others. 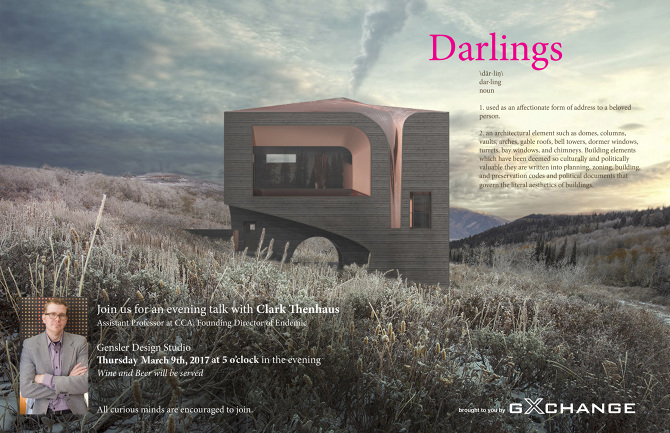 Clark Thenhaus delivers a talk titled "The Duck & The Darling" as part of the Hearst Lecture Series at Cal Poly San Luis Obispo College of Architecture and Environmental Design. Thanks to Brian Osborn and the Lecture Committee for the invitation. Clark Thenhaus joins David Gissen in a conversation about our recent contributions to the Drawing Codes Exhibition. Our conversation will take place at 7pm in the Digital Craft Lab at the California College of the Arts. Clark Thenhaus invited by TEAM B to participate in an exhibition titled Rejected. Opens December 15th in Cincinnati. Grateful to be included among many friends and compelling 'rejects'. Mind Your Mannerisms is reviewed by Antonio Pacheco in Architects Newspaper print and web journal. 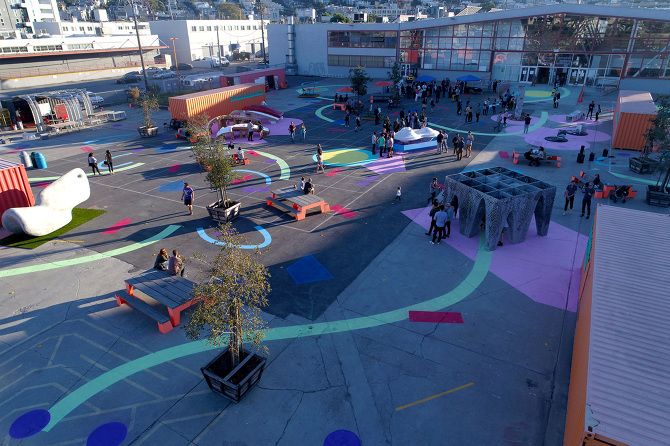 Clark Thenhaus participates in an event convened by The Architectural League of New York at the CCA that brings together 12 past League Prize winners in the Bay Area. Clark Thenhaus contributes 1 drawing to a group exhibition on drawings, named TheDrawingShow, at the A+D Museum in Los Angeles. Exhibition curated by Dora Epstein Jones and Deborah Garcia. Exhibition design by Anna Neimark & Andrew Atwood of First Office with drawings contributed by Thom Mayne, Bryan Cantley, Sergei Tchoban, Michael Young, Volkan Alkanoglu, Clark Thenhaus, Kelly Bair, David Eskenazi, Anthony Morey, Mike Nesbit, Alex Maymind, Sophie Laurialt, Kyle Miller. Tim Durfee & Iris Regn, David Freeland & Brennan Buck, Zeina Koreitam & John May, Carrie Norman & Thom Kelley. Exhibition opens October 14, 2016 and runs through January 8, 2017. Clark Thenhaus travels to the University of Pennsylvania, PennDesign to participate in a panel convened by Nate Hume with Michael Young, Kelly Bair, Michael Loverich, and David Eskenazi. Antonio Pacheco of The Architects Newspaper writes about the significance of Jai&Jai Gallery in Los Angeles for young practices, which includes Endemic along with some good friends. Mind Your Mannerisms closes with a conversation at Jai&Jai Gallery in Los Angeles with Dora Epstein Jones, Adam Fure, Ellie Abrons, and Clark Thenhaus. Mind Your Mannerisms is today's Editors Pick on The Architects Newspaper. Mind Your Mannerisms featured on SuckerPUNCH daily. Architecture Next Now (part 2) takes place at SPUR in San Francisco with FirstOffice, Future Cities Lab, Faulders Studio, and Endemic. Architecture Next Now is a two part series convened by Clark Thenhaus with SPUR. 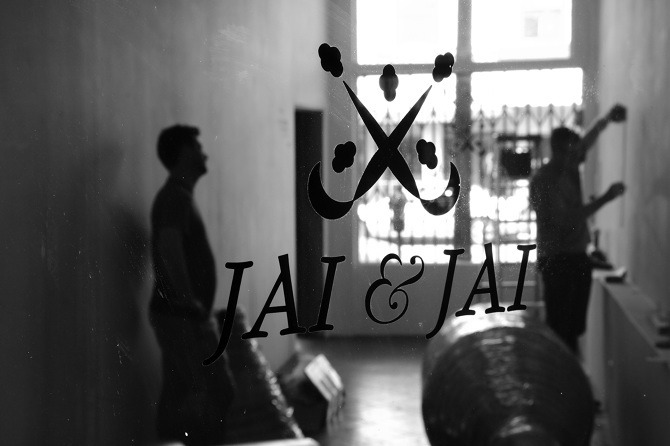 Mind Your Mannerisms solo exhibition opens at Jai&Jai in Los Angeles on August 13th at 6pm. Thanks to all who came out for the opening. Day 1 of installation below...Special thanks to the CCA Architecture and SCI-ARC student crews who helped with the install. 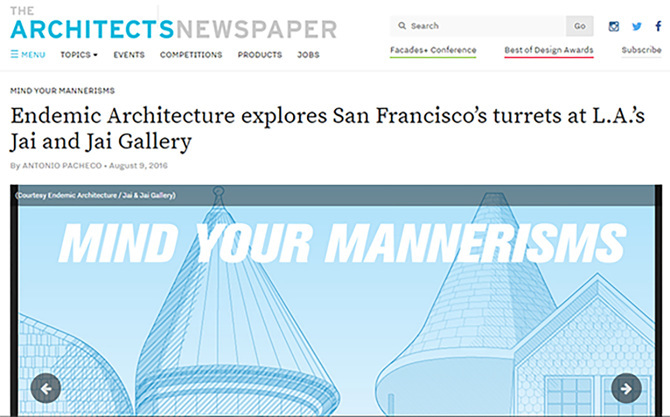 Architects Newspaper previews upcoming Mind Your Mannerisms show that opens at Jai & Jai Gallery in Los Angeles on Saturday, August 13th. Architecture Next Now (Part 1) takes place at SPUR in San Francisco with IwamotoScott, VeeV, NEMEstudio, and Price Studio. Architecture Next Now is a two part series convened by Clark Thenhaus with SPUR. Clark Thenhaus travels to UCLA A.UD to deliver a talk titled Other Forms About Town to the JumpStart summer program. Thanks to Jia Gu and Georgina Huljich for the invitation. Almost Familiar Forms workshops hosted by California College of the Arts sampled on SuckerPUNCH Daily. Thanks again to Kristy Balliet, Andrew Holder, and Dora Epstein Jones. The Gilded Sphere on Sticks of TURF by Materials & Applications mentioned with other contributors in the LA Weekly, The Eastsider LA, and other regional write-ups. TURF opens on June 18th. Organized by Materials & Applications, TURF: A Mini Golf Project explores the meaning of terrain and territory in Los Angeles through mini golf architectures. Endemic has contributed the project Gilded Sphere on Sticks to this little play land. Clark Thenhaus travels to UCLA A.UD for RUMBLE 2016 where he will participate in a symposium titled Ctrl C organized by Heather Roberge on the topic of 'copies'. Clark talks about "Darlings", domes, plan copies, and the oculus. Other panelists include Andrew Kovacs, Erin Besler, John May, Noa Kaplan, and Heather Roberge. Clark Thenhaus has 5 drawings accepted for exhibition at the AIA San Francisco gallery as part of a group exhibition titled In Sight - On Site, Beyond Function. 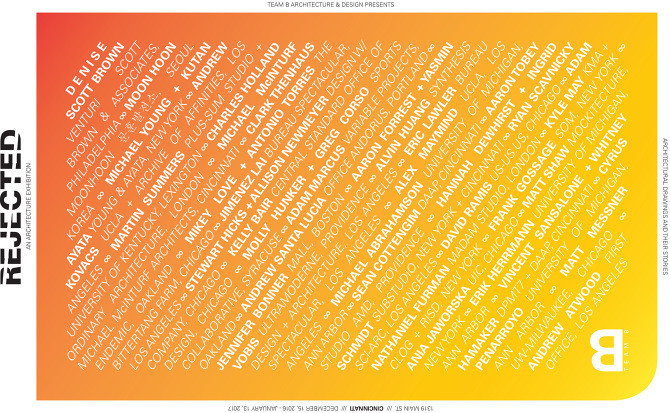 Exhibition opens to the public on June 10th at 6pm at the AIA SF headquarters and is open through the end of July. Clark Thenhaus invited to participate in a symposium on June 6th titled Ctrl C organized by Heather Roberge at UCLA A.UD on the topic of 'copies' as part of the opening symposium to RUMBLE. Other panelists include Andrew Kovacs, Erin Besler, John May, Noa Kaplan, and Heather Roberge. Clark Thenhaus invited as a guest critic for final reviews at UCLA A.UD as part of the RUMBLE end of year events occurring June 6th - June 10th (reviews June 6th and 7th). Project Journal #5 launches in LA. Clark Thenhaus has contributed an article titled Generic Originals to this issue. Clark Thenhaus has been selected, along with Jeanette Kim and Lorena Del Rio, to join California College of the Arts as an Assistant Professor starting in the Fall 2016 term. Clark Thenhaus invited to share his thoughts on the Learning Ecologies series at Gensler Architects head quarters office. Clark Thenhaus presents his paper, Darlings, at ACSA 104 Shaping New Knowledges on Kelly Bair's panel, Standard Deviations. Other panelists include Andrew Atwood, Jennifer Bonner, Greg Corso, Andrew Holder, Molly Hunker, James Kerestes, Kyle Reynolds, & Samuel Stewart-Halevy. Clark Thenhaus contriubtes to the Journal for Architectural Education, Issue 70:1, Design As Scholarship issue with a short text and one image titled Unexpected Encounters as part of the Discursive Images section. Thanks to Amy Kulper for the invitation to contribute. Almost Familiar Forms, a series of workshops and discussions curated by Clark Thenhaus with Dora Epstein Jones, Andrew Holder, and Kristy Balliet, commences at the California College of the Arts Architecture Division. Endemic's honorable mention Gilded Sphere on Sticks for Materials & Applications TURF putt putt competition proposal makes a surprising appearance on Golf.com along with the winners and other honorees. Clark Thenhaus delivers a talk titled Darlings, Other Domains & Brutes as part of the Design Matters Lecture Series at the University of Calgary EVDS. Thank you to Josh Taron for the invitation. A Project Four Domes opens a new exhibition at Gallery FM in the Computational Media Design Graduate Program at the University of Calgary. Gilded Sphere on Sticks receives an Honorable Mention in TURF , a Putt Putt Golf Course installation organized by Materials & Applications in Los Angeles. Congratulations to the winners, looking forward to playing a round in Spring 2016. Endemic solicited to design two sun flower fields as part of the Reactivate Latrobe Valley Initiative in the Latrobe Valley of Victoria, Australia coordinated by OUTR (Office of Urban Transformations Research) based in Melbourne, Australia. Clark Thenhaus has work solicited for the Curated Projects Exhibition at ACADIA convened by Chris Perry and Lonn Combs. Clark Thenhaus interviewed by Modelo for the Design Manifestos series. A Project Four Domes exhibition opens at the Kasian Gallery at the University of Calgary EVDS. Thanks to Josh Taron and crew for all the efforts in bringing this work there. Clark Thenhaus delivers Spheres, Cones, & Cylinders talk for the Architectural League Prize for Young Architects & Designers.Exhibition opens at the Shiela C. Johnson Design Center, Parsons The New School for Design. Architectural League Prize for Young Architects & Designers exhibition opens at the Shiela Johnson Design Center, Parsons The New School for Design. With Erin Besler, William Andrew Atwood, Anna Neimark, Thom Moran, Rychiee Espinosa, Seth McDowell, Dan Adams, and Marie Law Adams. Endemic congratulates Katie Donahue, Endemics longest running collaborator (and one of our, if not the, favorite person in the world), for winning the Bigger Than A Breadbox, Smaller Than a Building Competition. She will build a 60' canopy made from recycled paper pulp in the Boston Society of Architecture building in Boston. Other exhibitors include NADAAA, MatterDesign, Catie Newll, IK Studio, among others. Clark Thenhaus delivers "The American Pastoral & Digital Culture" lecture at Indiana University Department of Apparel Merchandising and Interior Design. Clark Thenhaus joins Michael Young, Michael Osman, Rhett Russo, and Lydia Kallipoliti on an ACSA Super Session Panel to discuss The Core Curriculum Tomorrow, moderated by David Ruy and Lola Sheppard. Clark Thenhaus presents Part Problems / Problem Parts (Moderated by Erin Besler and Sarah Hearne with Andrew Atwood and Mollie Claypool) at ACSA 103: The Expanding Periphery and The Migrating Center in Toronto by host schools University of Toronto, Ryerson University & University of Waterloo with Co-chairs Lola Sheppard, Waterloo University & David Ruy, Pratt Institute. 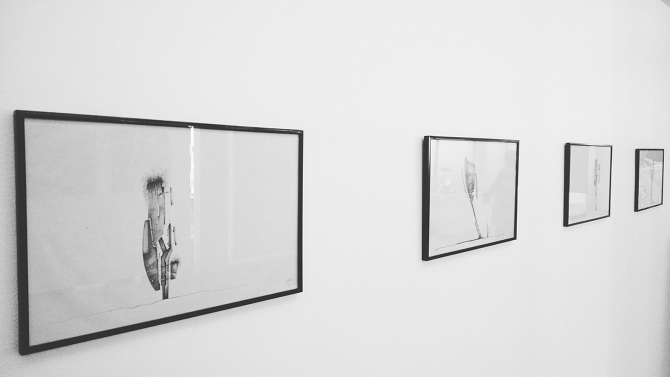 Three-Part-Projects exhibition of recent work closes. Thank you Ball State College of Architecture & Planning and Joshua Coggeshall for the invitation. 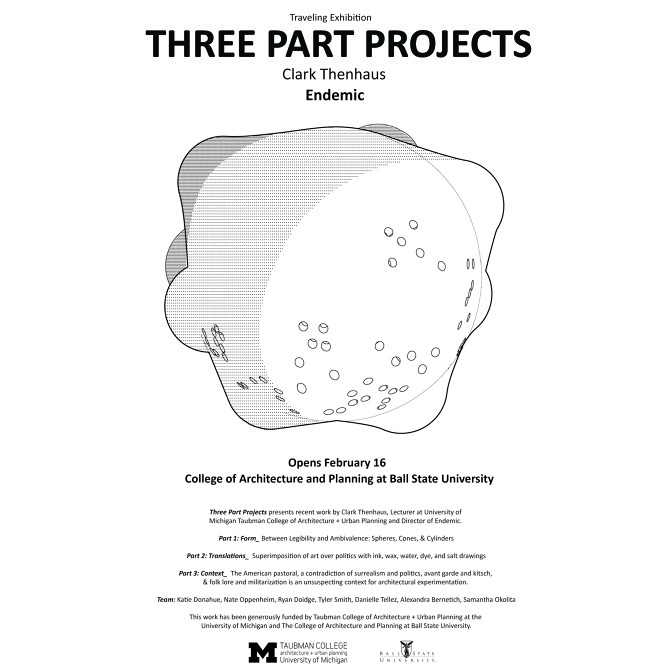 Three-Part-Projects exhibition of recent work opens at Ball State University College of Architecture and Planning. Thank you to Joshua Coggeshall for the arrangements and to the University of Michigan Taubman College of Architecture + Planning and Ball State University College of Architecture and Planning for financial support. Clark Thenhaus visits University of California, Berkeley College of Environmental Design to review final efforts of students in Raveevarn Chokosombatchai's studio with Andrew Atwood, Mark Smout, Mark Allen, Margaret Crawford, and Jill Stoner. Thank you to Raveevarn Choksombatchai for the invitation. Clark Thenhaus attends final reviews at Syracuse University School of Architecture to review the work of Anne Munly and Kyle Miller. Clark Thenhaus has two papers selected for presentation at ACSA 103: The Expanding Periphery and The Migrating Center, happening March 17-19 in Toronto by host schools University of Toronto, Ryerson University & University of Waterloo with Co-chairs Lola Sheppard, Waterloo University & David Ruy, Pratt Institute. 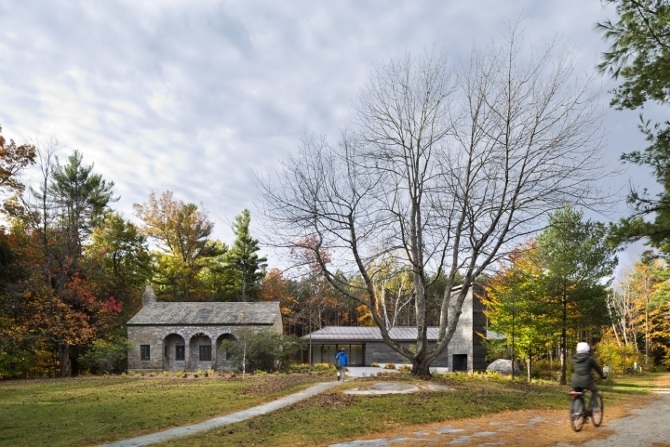 Clark Thenhaus finishes artist in residence at the MacDowell Art Colony. Completed work includes a series of texts and drawings. Clark Thenhaus contributes a drawing to A Picture is Worth 500 Words exhibition in Los Angeles curated by Martina Dolejsova. Participants include Anna Niemark, Andrew Atwood, Andrew Kovacs, Clark Thenhaus, David O'Brian, Jonathan Louie, and Kyle Branchesi, and writers Anthony Miller, Gabrielle Lim J Ryan Stradal, Matt MacFarland, Taleen Kali, and Theresa Sotto. Soiled #5: Cloudscrapers available for pre-order with article by Clark Thenhaus, Star Gardens: Purple Hollow. Clark Thenhaus travels to Syracuse University to review the final efforts in students in a studio led by Kyle Miller. Clark joins Nate Hume on the jury panel. 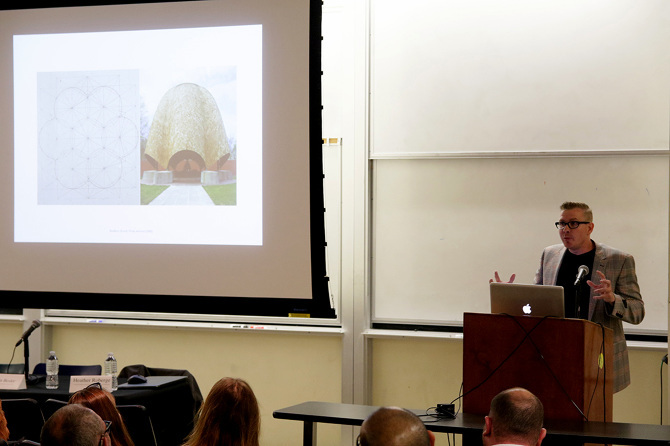 Clark Thenhaus delivers lecture titled Secret Landscapes & Non-Urban Objects at Taubman College of Architecture + Urban Planning as the culmination of research and work completed during the fellowship period. On The Road ProjectLA #3 reviewed by Matt Shaw on DOMUS. OTR curated by Danielle Rago, Courtney Coffman, Jonathan Louie, and James Michael Tate. On The Road ProjectLA #3 featured on ArchDaily with write up by Guy Horton featuring select drawings, including Clark Thenhaus'. OTR curated by Danielle Rago, Courtney Coffman, Jonathan Louie, and James Michael Tate. On The Road ProjectLA #3 featured on Architects Newspaper with write up by Sam Lubell featuring select drawings, including Clark Thenhaus'. Clark Thenhaus participates in On The Road ProjectLA #3 in Los Angeles by placing a representation of a representation about a representation on Venice Beach. Clark Thenhaus is invited to participate in the third event in the On The Road Project L.A. series curated by Danielle Rago, Courtney Coffman, Jonathan Louie, and James Michael Tate. Clark Thenhaus travels to Syracuse School of Architecture for quarter review of work underway in Kyle Miller's undergraduate studio. Leigha Dennis and Farzin Lotfi-Jam round out the three 2013/2014 fellows with Clark Thenhaus at the University of Michigan Taubman College of Architecture and Urban Planning. ...On the clock! Clark Thenhaus has been selected as the Willard A. Oberdick 2013-2014 Fellow at the University of Michigan's Taubman College of Architecture & Urban Planning! Palindromes selected for project / research exhibition and presentation at ACSA 101 New Constellations New Ecologies national conference hosted by California College of the Arts in San Francisco. Star Gardens, along with all winners and special mentions from d3's Unbuilt Visions competition, featured on Bustler and Archinect. Clark Thenhaus organizes a three day workshop at University of Colorado with guest workshop leader Kyle Miller. Clark Thenhaus participates in the Approaching Landscape Symposium at RMIT for Theoretical Frameworks III by presenting "Imperfect Reflections of Reality"
City Garden solicited for publication in forthcoming landscape book by WEMADE (china). Clark Thenhaus lectures at RMIT, titled "Untold Histories: Grids, Gold, Faulty Science, and Tobacco"
Alien Marlboro drawings on exhibit at WUHO Gallery in Hollywood, CA. for "2D3D Drawing in the Post-digital Age"
Clark lectures at RMIT about "Delinquent Vernacular" drawings and attends KERB Vol. 18 Launch as well as announces winners of the international design competition. Clark Also had Rambunctious drawings on exhibition, along with work from Elizabeth Delfs and the top 20 competition winners. ENDEMIC is officially FOUNDED ...I think. Come to think of it, it was later re-founded....then re-re-founded.